Micaceous Medicine Buffalo Fetish. $30. 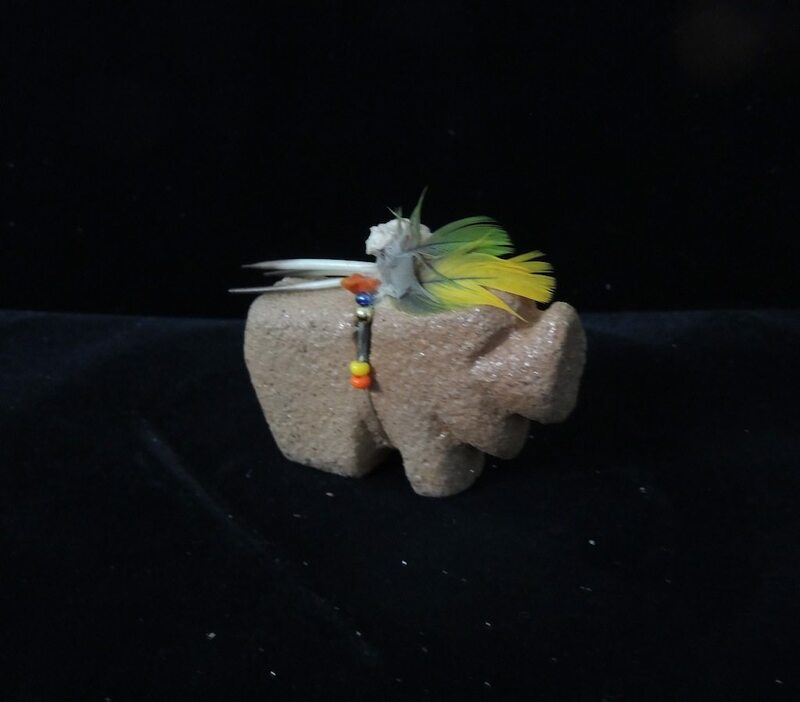 Ben Romero (Taos Pueblo) has coaxed Buffalo into taking shape out of the Pueblo’s own micaceous clay. 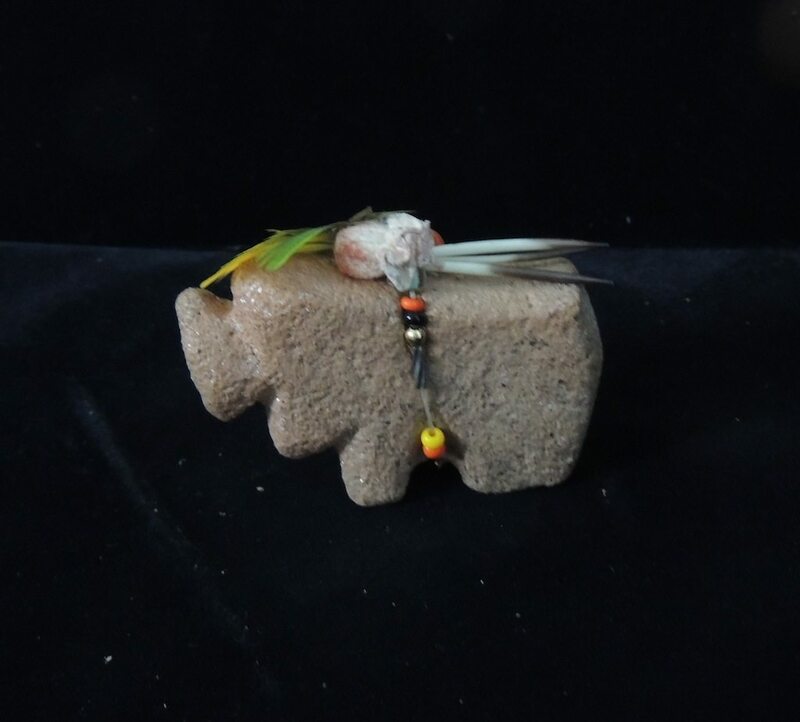 The strong and solid little animal gleams in the light, his stylized shaggy head gazing out beneath a colorful medicine bundle of feathers, quills, a fabric rosette, and vintage-style beads. Buffalo stands 1.5″ high by 2-1/8″ long (dimensions approximate). Another view shown below.